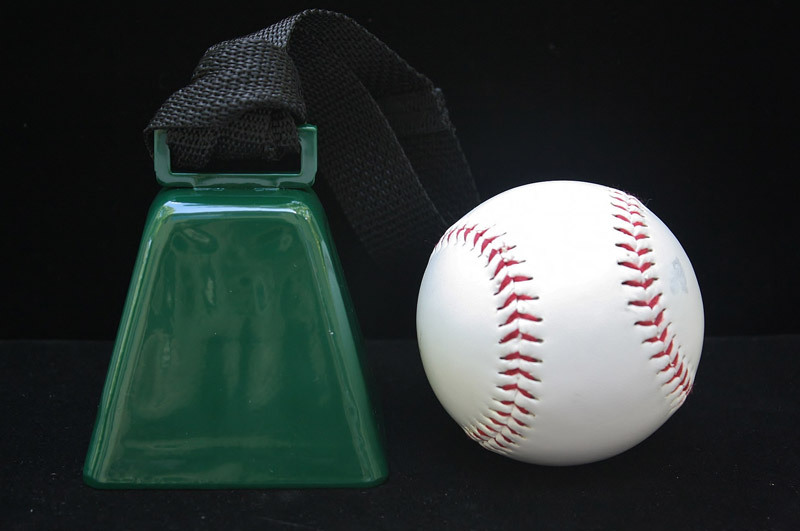 Keep this cowbell handy for all your cowbell needs! 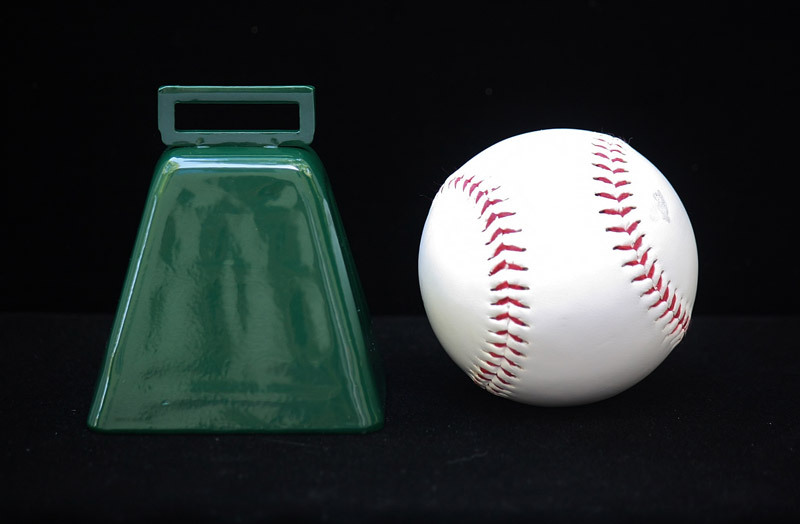 Keep it home for decoration and bring it for noisy fun. 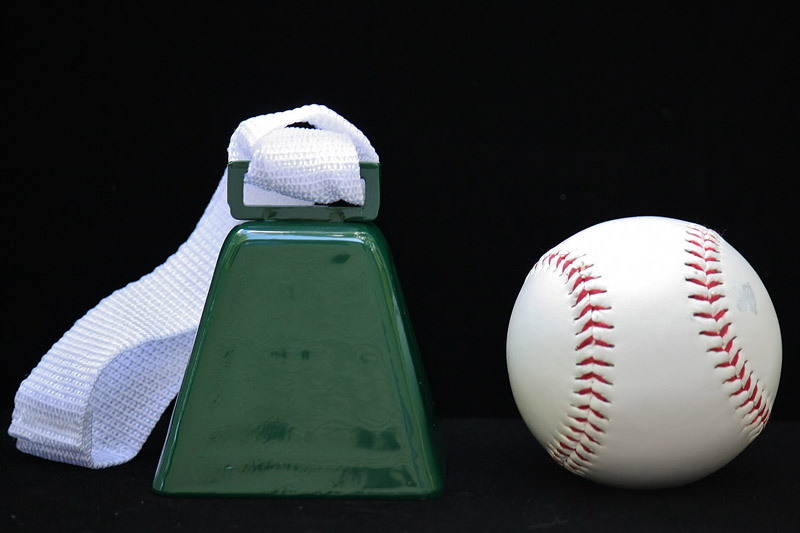 This green cowbell comes with an optional black or white strap.